Mining disasters are big news. There is something about men and women buried alive that captures the imagination and horrifies people - and well it should. Experts worldwide estimate that there are approximately 20,000 mining deaths globally. While that number is difficult to substantiate there is no denying that mining, as a profession, produces more than its fair share of deaths. In fact, the International Labour Organization (ILO) reports that “while mining employs around 1% of the global labour force, it generates 8% of fatal accidents.” There’s cause for hope as in many countries mining fatalities are on the decrease, but unfortunately in some of the largest countries, most notably China and Russia, mine fatalities are still a major problem. In addition to the intrinsically dangerous work associated with many elements of mining, and the indifference to human life shown by some companies and countries, in many parts of the world there is a shortage of experienced miners. 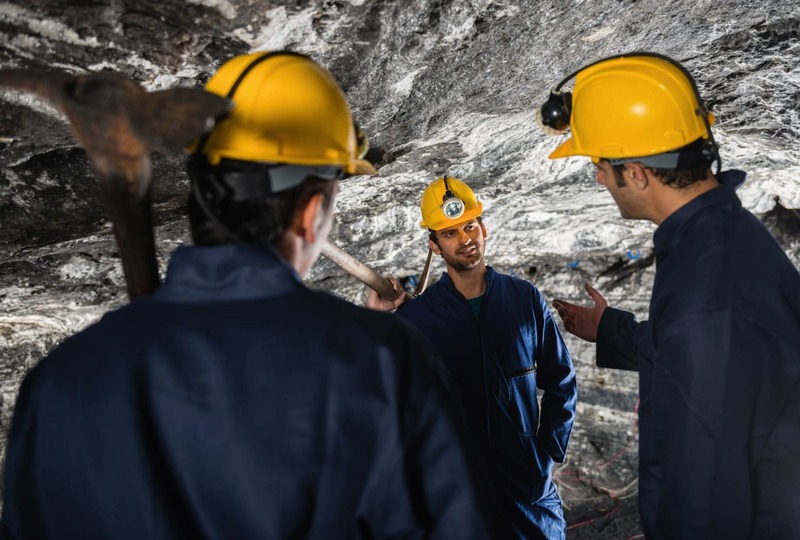 According to the US Mining Safety and Health Administration (MSHA), this shortage of experience miners means that mining companies are forced to hire inexperienced miners. These companies need to design and develop comprehensive training to close the knowledge gap that exists between inexperienced workers and their veteran co-workers. The first, and perhaps best, protection a miner can have is a miner in distress device. These devices allow miners to call for help if they become injured and are especially useful in situations where the miner has become incapacitated. Without a means of summoning help the miner might lay undiscovered for hours. Unfortunately, there are severe limitations on most of these devices; chief among these is that for this type of device to work effectively the miner must be signed into a wireless network or have other data plan coverage. Some would argue that miners would be better served with radios, although advocates of miner-in-distress devices counter that radios are often dropped or broken in the incident that has put the miner in distress. Although a bit more costly, the most practical solution is to provide both devices so that there is a redundant system for ensuring first responders can quickly come to the aid of miners in distress. 1. Wear the appropriate eyewear. When it comes to eye protection all safety glasses are not created equal. When selecting eye protection consider the working environment. If, for example, you are working in an area with high concentrations of dust you should select glasses that are equipped with dust barriers. Similarly, if you are working around welding ensure that you have the proper UV protection for the task that you will be performing. 2. Ensure your glasses fit properly and are comfortable to wear for prolonged periods of time. PPE is only effective if it fits properly and is worn correctly. Also, it’s important that you wear your safety glasses the entire time you are in the work area and that you do not remove them until you are away from the job site. Many foreign particles enter the eyes when workers remove glasses during breaks and place them on a contaminated surface (like a dusty work bench or dirty tool box) the foreign particles get on the glasses and ultimately end up in the worker’s eye. Storing your safety glasses in a place where they remain clean and undamaged is a key to avoiding eye injuries. Not much can be said about PPE in terms of preventing injury or death in the initial disaster – which can range from cave-ins to explosions of trapped pockets of natural gas. If worker is in the direct line of fire when disaster strikes the likelihood of survival is slight, but that’s not to say that PPE in mines isn’t important, or even essential in surviving. Perhaps the most difficult aspect of saving imperilled lives in a mining disaster is getting to the miners who weren’t necessarily injured by the initial event, but who are now trapped in the mine because the catastrophic event has blocked their egress route. Miners needlessly die because they lack the PPE that would otherwise keep them alive until they could be rescued. 1. Clear identification of the 'person-in-charge' of both the Emergency Action Plan (EAP), and the chain-of-command. When everyone is responsible for something, then no one is really responsible. A good EAP will identify the ultimate owner of the plan and a chain-of-command so that everyone knows who will be doing what, and who assumes an absent team member’s duties. 2. Evacuation procedures and identification of all exit routes. In general, a single evacuation route is neither advisable nor effective, but in many cases geography may limit your ability to have an alternate evacuation route. The evacuation route should identify rally points where workers gather after the site has been evacuated so all workers can be accounted for. 3. First-aid and rescue duty assignments. All miners should be provided an orientation that identifies the first responders and how to contact them. Ideally this information should be posted in multiple locations so that the information is readily accessible. 4. Methods of reporting emergencies by any employee. A system must be developed so that any and all employees have the right and ability to sound the alarm that an emergency has occurred. This system need not be sophisticated or expensive, but it should be tested to ensure that it is effective. 5. Procedures for employees who remain behind. In some cases, some workers will be required to remain behind to shut off equipment, ensure toxic or explosive chemicals are secured, or wait with an injured worker until first responders arrive. In these cases, strict protocols designed to subject these workers to the lowest possible risk are essential. 6. Procedures for accounting of all employees after evacuation, or upon a shelter-in-place emergency. Once at the rally point, the person in charge of implementing the EAP must have a means of quickly ascertaining who is present and who is absent. Often first responders needlessly risk their lives, and even lose them, looking for someone who had already vacated the premises. 7. Procedures for critical operation shutdown. In many cases, the mine simply cannot be hastily abandoned and critical operations must be shut down before the mine can be evacuated. The emergency plan must clearly identify the “who?” “what?” “why?” “where?” and “how long?” of the procedure for shutting down critical operations. Having an EAP in itself does nothing to protect workers; you must communicate it. One of the best ways of communicating an EAP is through a rigorous process of drills. Frequent drills change behaviours that require a lot of thinking and decision making into unconscious habits that require little to no thinking or decision making. When an emergency strikes time is of the essence and the fewer decisions that need to be made the more likely workers are going to escape danger unscathed. Another important aspect of mining safety is your understanding the triggers of the most serious incidents and doing your utmost to recognise and avoid triggering catastrophes and reminding co-workers to do the same. Hard hats can protect you from the occasional falling object, but will offer little protection if tons of stone cave in on you. 1. Use Stop Work Authority. Never forget that there is always some level of risk of injury in every workplace and that risk is much higher in mining than in other work environments. Never undertake a job or perform a task that you believe could be unsafe. Stopping work doesn’t mean that you necessarily halt all work at the mine – it could be as simple as double checking that you are correctly wearing all your PPE or that you are using the correct tool for the jobs. 2. Plan, plan, plan. There is an expression among carpenters: measure twice, cut once. It means that by thoroughly and completely planning a job you can avoid costly – and in the case of safety, deadly – mistakes later. A plan is only a piece of paper, however, unless you put it into action and communicate how the plan will be executed to all those around you. If something changes or if there is something present that you failed to anticipate in your plan, then revise it. Plans should be living documents that are never complete until the last miner goes home safely. When you are planning remember to build-in safety to your plan. This probably will mean that you will have to take extra time to ensure that safety checks are made. Remember, planning to do the job safely may be time consuming, but far less so than a serious injury or a fatality on the site. 3. PPE isn’t optional. Wearing your PPE isn’t optional it’s mandatory, not just for you but for everyone around you. Sometimes our poor choices put other people’s safety at risk, not just our own. If you see someone who isn’t wearing the appropriate PPE remind him or her and if he or she doesn’t like it then so be it. Better to have them irritated by you than for them to die because you stood by and said nothing. 4. Don’t do a job unless you are satisfied that you are qualified to do it safely. This can be tricky. Nobody wants to admit that they are a little shaky on the details of a task that is core to their job responsibilities but being capable of doing the job correctly is the single greatest safety tool at your disposal. Recognise that just because you sat at a computer screen or a boring safety training doesn’t necessarily mean that you can do your job. If you are unsure of a task or procedure ask your supervisor and keep asking until you are certain you can do the job safely. 5. Follow ALL the safety rules. Sometimes the rules don’t make any sense. Sometimes the rules seem silly and over protective. Sometimes the rules are maddening, but however you feel about the rules follow them: everyone, every job, every time. Phil La Duke is an internationally noted thought leader on worker safety, culture change, and organisational development. He is the author of the weekly blog www.philladuke.wordpress.com, and is a frequent guest blogger to www.monsterTHINKING.com, www.monsterWORKING.com, and www.safetyrisk.au.com. La Duke has been named one of the 101 most influential people in safety globally, is an editorial advisor and contributor to numerous prestigious publications. In addition to his writing credits, La Duke is a highly sought after speaker and consultant on safety and organisational change topics. Author of I Know My Shoes Are Untied. Mind Your Own Business.